On the first day its IPO opened in 1998, theglobe.com that was valued at $9 apiece, rallied to $97 a piece, setting a record of the largest first day jump in the then history of stock market. They turned millionaires overnight. Two more years passed after the IPO and nothing happened. Theglobe.com was where it was two years ago (or had gotten worse). The company couldn’t turn around any profits and expenses were piling up. Another year passed, the dot-com bubble burst, theglobe.com shares went for a free fall and landed at less than 27 cents by mid of 2001. For theglobe.com (OTC: TGLO), it was the end of times. The company got delisted. Today, it exists as a shell corporation with no assets, no revenues. THE END. Not. Who’d have known that a decade later history would be repeating itself (Or is it?). Only this time the post-IPO happenings took place pretty fast. My readers must have guessed by now the company I’m about to discuss. Facebook (NASDAQ:FB) recently reported its second quarter results, first after its IPO. The stock plummeted to its lowest of $22.28. Facebook, like theglobe.com, is a free social networking website, also founded by an undergrad, primarily makes money through advertisements and games, gained quick popularity and decided to go public at a time when supposedly the present, smaller dot-com bubble was nearing its maximum inflation point (some say it’s going to burst very soon). However, two things between the two companies are antonymous. One, Facebook’s IPO was a bigger disaster than theglobe.com’s whose demise came much later. Two, Mark Zuck continues to wear his hoody attire post-IPO while theglobe.com boys switched to fancy pants and jackets. One thing that’s strikingly similar is how the IPO didn’t turn out to be a good bet for the two companies. It’s obvious. When you are unlisted, it doesn’t matter what your financial statements say. As long as you’re delivering and win your customers’ hearts, you’re an apple of media’s eyes. But once you get listed, sentiments on the street (Read: Wall Street) change with changes in your ability to meet earnings forecasts. You miss a forecast and you badly get bashed in tweets, discussion forums and news bulletins on FOX News. I wrote on IPOs before, how they often spell out as ‘overpriced’. Facebook’s IPO is the best example of it. The hype around the company has been undeservingly great. Investor sentiments post-IPO changed dramatically from their pre-IPO sentiments. I wouldn’t disagree that the stock is overvalued. Still is. But the ‘herding behaviour’ of rushed buying or selling of a stock based on just one quarter within three months of the company’s IPO is just irrational. In my view, Facebook has had an eight year track record of growth, so let’s give it the benefit of doubt. A longer term perspective is what I’m talking about here. In an undergrad marketing course I took, our Professor would make us do a drill every other day. He’d give us a company and ask us to plot it on the Product Life Cycle. In case you’re unfamiliar with it, it has four stages for a company’s product- introduction, growth, maturity, and decline. For instance, we can put Google (NASDAQ:GOOG) Glasses in introduction phase, Samsung smartphones in the growth phase, Dell (NASDAQ:DELL) desktops in the maturity phase and Nokia’s (NYSE:NOK) monophonic cell phones in the decline phase. Note, the shorter a phase, the quicker it will take the company to transition to the next phase. In the past two decades, I can’t think of any products that have had shorter lives than tech and IT products. Innovation in this sector has become so fast-paced that a product takes only a year or two in introduction and then jumps to growth phase. Within a few years it’s mature and then headed for a decline. Last week, we saw Apple (NASDAQ:AAPL) missing forecasts and the company attributed it, among other reasons, to decreased iPhone 4 sales. The product got old (mature) and users got fed up. Now buyers await iPhone 5’s release, which should be able to fill the gap ONLY if it offers something new. Otherwise, Apple will likely keep missing forecasts in next quarters as well. The problem with Facebook is no different. It was naive of them to get IPO-ed in the first place. Post-IPO expenses caused it to report a net loss this quarter. Its net income was $240 million in Q2 June 2011, moved down to $205 million in Q1 March 2012 and ended up at a loss of $157 million this quarter. For a company that produces a product of pure entertainment value, it is important for it to keep its customers hooked. 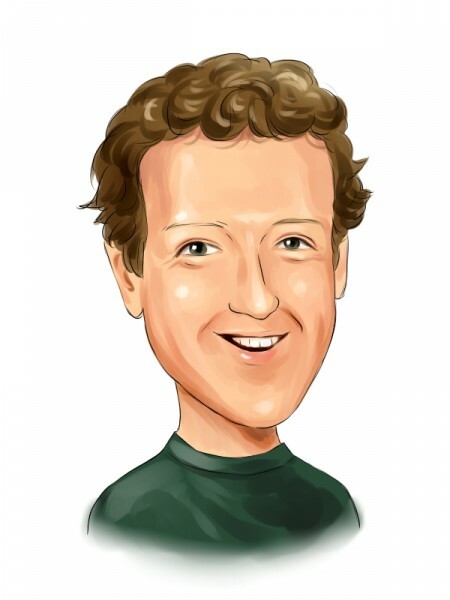 Nonetheless, one thing will prove a boon to Facebook–lack of any big immediate competitors! Which is why Facebook continues to linger on in the growth phase. Don’t make hasty decisions based on wild speculations you read on discussion boards! The last dot-com bubble occurred because investors showed overly positive sentiments for tech/internet companies that were returning losses at that time, but were accessing external financing for expansion in a hope to cover up for the losses later on. What actually came later was bankruptcies. Today, Zynga (NASDAQ:ZNGA) is one ideal example of it. The game developer reported a net loss for three out of four years in the past. Quarterly speaking, Zynga reported $435 million in net loss the same quarter in which it went public. The net loss amount has decreased in latest two quarters but is still a figure in red. Its daily active users are up this quarter but the revenue per user fell. Reason? Zynga got boring. I played Zynga Poker for two years. It’s just not fun anymore. Their Farmville and Cityville games are ridiculed in memes spread all over the internet. Draw Something gets annoying once you’’ve reached the point where you can’t draw apart a pigeon from a sparrow. With competitors like Electronic Arts(NASDAQ:EA) and Take-Two Interactive (NASDAQ:TTWO) making their way into social media gaming with bigger better games, it is unlikely Zynga will be able to turn around its fate. Unlike Facebook, they’re certainly approaching maturity. Facebook should consider ally Zynga as a pre-warning. Facebook faces a dilemma now. It has to choose between bringing something new to the existing products to prolong its growth phase (ads on mobiles, new modes of advertising, new games, new apps) or make its way into the introduction phase with a new product (e.g. ; Facebook smartphone). Or maybe choose both. As for the investors are concerned, my advice would be to hold on to their Facebook stock if they bought it on the IPO. And if you’re a Wall Street trader, you’ve made a fortune, so now get a life and stop shorting the stock already.